In recent years, the world has seen a rise in the number of people displaced due to violence, conflict, environmental degradation, and economic hardship. These demographic shifts have re-focused interest and debate on the large-scale movement of refugees and migrants. This is the first instalment in a series of information briefs that aim to provide an overview of recent developments in the area of international migration. On 19 September 2016, the United Nations General Assembly (UNGA) will convene a UN summit to foster greater international solidarity and support for large movements of refugees and migrants. In preparation for the summit, the UN Secretary-General issued a report calling on Member States to make global commitments towards upholding the safety and dignity of refugees and migrants, in addition to proposing two global compacts that would ensure more predictable and equitable responses to the large movement of refugees and migrants. On the margins of the UN summit, US President Barack Obama will host, alongside Canada, Ethiopia, Germany, Jordan, Mexico, and Sweden, a Leaders’ Summit on Refugees which will appeal to governments to pledge significant new commitments for refugee assistance, including increased funding for humanitarian appeals and the admission of more refugees through resettlement. In recent years, the world has seen a significant rise in the number of refugees and migrants. The UN Department of Economic and Social Affairs reports that the number of migrants grew to 244 million in 2015, an increase of 71 million, or 41 per cent, since 2000. The total number of refugees reached an estimated 15.1 million people in 2015, its highest levels in nearly 20 years. In the past three and a half years alone, the global refugee population has grown by an estimated 4.7 million. Regional groups and international organisations are increasingly feeling the pressure of these trends. In June 2016, the European Union (EU) reported that it received the highest number of asylum applications since November 2015. A record 120,471 international applications were made in June this year. These strains are apparent in the developing world as well. The continuing crisis in South Sudan, for instance, has placed considerable pressure on host countries such as Uganda and the Democratic Republic of the Congo, which have struggled to accommodate the influx of refugees. The persistence of conflict in the region raises the prospect that the South Sudanese refugee population will reach 1 million in the coming months — a daunting prospect considering that the UN High Commissioner for Refugees (UNHCR) has received only 20 per cent of the US$608.8 million needed to support refugees. Programmes for Syrian refugees also remain underfunded, as the number of people fleeing the war-torn country continues to grow. The aforementioned report issued by the UN Secretary-General finds that initiatives put forward thus far have generally been inadequate to address the growing number of refugees and migrants. Rather than successfully protecting the rights of asylum seekers and migrants, the report finds that their rights and freedoms are routinely violated upon arrival and that national policies are often fragmented and one-sided. In anticipation of the 19 September Summit, the UNGA drafted the New York Declaration on Migrants and Refugees, which aims to address many of the major governance challenges in the area of migration. The declaration outlines a set of commitments for protecting migrants and sets in motion negotiations for two global compacts — the Global Compact for Safe, Regular and Orderly Migration and the Global Compact on Responsibility Sharing for Refugees. It is hoped that both compacts will be adopted by 2018. Some of the defining features of the New York Declaration include its acknowledgement that climate change, natural disasters (some of which might be caused by climate change), and environmental factors can often be the cause of displacement, as well as recognising that “migration should be a choice, not a necessity”. The New York Declaration also requests the UN Secretary-General to put in place a system of periodic assessments of the progress made on its commitments. The International Organization for Migration (IOM) welcomed the Declaration’s condemnation of racism, xenophobia, and other forms of intolerance against refugees and migrants. 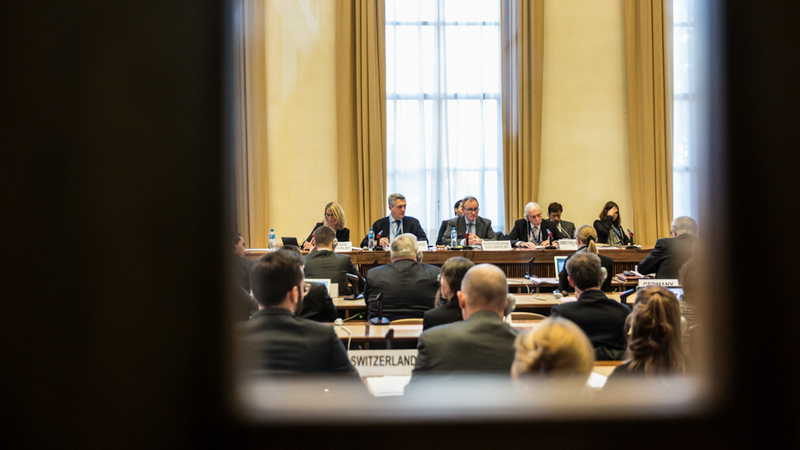 UNCHR in turn underscored that the proposed Global Compact on Responsibility Sharing for Refugees could result in more predictable and equitable responses to refugee situations, with refugees benefitting from strengthened protections. In anticipation of the summit and the drafting of the two compacts, the Arab Regional Consultative Process on Migration (ARCP), operating under the auspices of the League of Arab States, met on 2–3 August 2016. The ARCP highlighted the growing number of registered refugees in the Middle East and North Africa, which reached 34.7 million in 2015. The ARCP emphasised the positive economic and social contributions made by migrants and urged that the human rights of all migrants, regardless of their status, should be at the heart of the high-level plenary meeting on addressing large movements of refugees and migrants, and the global compacts. It further noted that the benefits of safe, orderly, regular, and responsible migration are considerable and often underestimated. In addition, on 4 August 2016 the governments of Belize, Canada, Costa Rica, El Salvador, Guatemala, Honduras, Mexico, Panama, and the United States jointly released the ‘San José Action Statement,’ which recognises the need for stronger protection of asylum seekers, refugees, and internally displaced people in the region. Measures, which need to be implemented, include arrangements offering safe, legal alternatives for people to seek protection abroad via a third country, increasing resettlement opportunities, and the expansion of a programme providing life-saving help and protection to children fleeing affected countries. Other regional blocks appear more divided, however. Although EU Member States appear to largely support the outcome document, refugees and migrants have become politically contentious topics. For instance, the Czech Republic, Slovakia, and Hungary have vocally opposed EU-mandated quotas for accepting asylum seekers. In contrast, on 28 August 2016, German Chancellor Angela Merkel once again stood by her open-door policy towards asylum seekers — urging other European states once again to accept a greater number of refugees. While international organisations, such as IOM and UNHCR have applauded the UN Summit as a watershed moment, some think tanks and NGOs have responded less enthusiastically. CARE International, for instance, noted with apprehension that countries — developed countries in particular — continue to show a lacklustre response to the growing refugee crisis. Several NGOs have expressed concerns that world leaders are not showing the political will required to implement a supranational approach that can successfully protect refugees and migrants worldwide. Some groups, for example, have criticised the fact that the UN Secretary-General’s recommendation to resettle 10 per cent of refugees was not included in the most recent draft of the declaration. Human Rights Watch, alongside 20 other NGOs including Amnesty International, the Danish Refugee Council, and the Norwegian Refugee Council, expressed wariness that an outcome that repeated existing commitments could not be considered a success. Other organisations have been more critical. In a joint statement, the Center for Migration Studies of New York and the Scalabrini International Migration Network argued that the draft document fails to create a new framework for protecting refugees and migrants and instead reaffirms the status quo and principles already enshrined in international law. In addition, both organisations criticised a phrase in the declaration asserting that the detention of children is “seldom” good, as opposed to “never” good, noting that the phrase could open the door to the detention of children under circumstances that might be in conflict with international obligations to protect minors. Current obligations under international law only allow for the detention of minors under exceptional circumstances or as a measure of last resort. Although the New York Declaration reasserts several principles already enshrined in international law, a new set of commitments could increase the accountability of states in the face of large movements and create a more predictable environment for migrants and refugees. The declaration could notably add some much-needed accountability in regions, such as South-East Asia, where most states have not signed the 1951 Refugee Convention. More crucial, however, are the proposed global compacts outlined in the declaration. By proposing the negotiation of two global compacts on the large movement of refugees and migrants, the international community sets in motion the possibility of a more uniform and coordinated response to the growing number of refugees and migrants. Establishing Policy Commitments to Protect Refugees and Migrants by Bavo Stevens is licensed under a Creative Commons Attribution-NonCommercial-ShareAlike 4.0 International License.